I explore my reality and hence possibility by contemplating the thoughts of others, reading, conversing, listening, meditating and personally experiencing new things. I am very aware that we choose how we want to be in the world. We each determine for ourselves how we want to negotiate our time, resources and energy, how we interact, how we make ourselves heard, known and understood. So I ask why, I listen, I watch, I stir pots, and I observe myself in these interactions. In this way I find out what makes me tick and where I want to focus my energy; most importantly with regards to my spiritual path. The internet provides us with a lot of articles and opportunities to reach the world. People are searching to connect, to understand new things, to make others understand their positions, and there are an awful lot of people out there who spend an enormous amount of time on social networking sites! Wow…it’s staggering. I wonder why. I’m just kidding…I already know why. I’m there too after all. We want to meet people, talk about things that matter to us, find like-minded people, communicate, find our place in the world. Ultimately as we glean little bits about others we come to know ourselves better. I’m not out there to meet friends, I already have those – I’m out there to meet new minds. I want to know what people are thinking about, specifically with regards to spiritual growth, change and development. Navigating the internet and all the information on it is like embarking on a trip to Wonderland – Alice’s Wonderland that is! So with regards to this matter of spiritual growth and development I have discovered that there are a lot of people who seem to know the way! Very exciting! Many people have opinions which they are very eager to share, some people pass along other people’s opinions, some people just want to talk and aren’t interested in listening at all to what others are really saying. You can slip down a rabbit hole pretty quickly if you don’t know what your spiritual intention is. 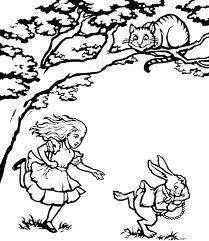 There seem to be an awful lot of white rabbits out there wanting to lead us down one garden path or another – all equally reasonable, all spiritually ‘guided’ and most seem in a hurry to get somewhere. Presumably they are offering a happier, more peaceful, more enlightened place; a wonderland perhaps! 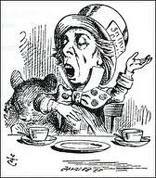 But as we are aware, Wonderland is chock full of illusion and drama that tends to occupy our senses in a very nonsensical kind of way. The airwaves offer us a plethora of spiritual rabbit holes. So many ways…so many things to consider…so little time! We’ve all learned that things aren’t always what they seem. As our knowledge base increases so does our perception and our ability to see illusion. There is only one path – at a time – for every perspective. You can, of course keep changing perspectives and keep jumping paths but you will eventually get tired and frustrated. Or you can start where you are and heed the greatest words ever…Know thyself. What do you need, want, desire and know? This is a key purpose of your life; to know where you stand and to stand in your shoes satisfied that you are in the right place and the right time. Remember why you embarked on the spiritual journey. Are you finding what you’ve been looking for? Give yourself a reality check. Are you happy? Is your life satisfying to you? Do you have and are you maintaining self-respect? Is the quality of your life improving? Is your spiritual path supporting your values and ability to choose? As long as you are a walking, breathing, thinking, ekeing-out-a-living human being, you have a responsibility to be human. Does your spiritual rabbit hole make you a better human being? Are you more or less content to be a contributing member of society? If you can’t answer yes to these you might consider finding a new rabbit hole. Ask yourself who’s attending the tea party? Are they sane? Are they followers? Are they committed to the highest good or simply adversarial? Eventually Alice arrived home knowing herself in an expanded way, more content in her own skin, inner demons conquered, heart re-discovered. 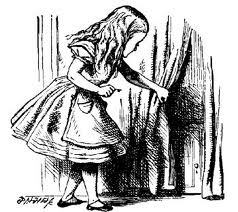 Does your rabbit hole lead you back home a better person?